There isn’t anything more romantic than a beach for a wedding, and Sydney’s northern beaches provide a lot of opportunity. Whale Beach is one of the best places thanks to a wedding venue nearby called Jonah’s. No doubt you’ve at least heard about this venue that’s catered events and weddings to the rich & famous for the last eight decades. 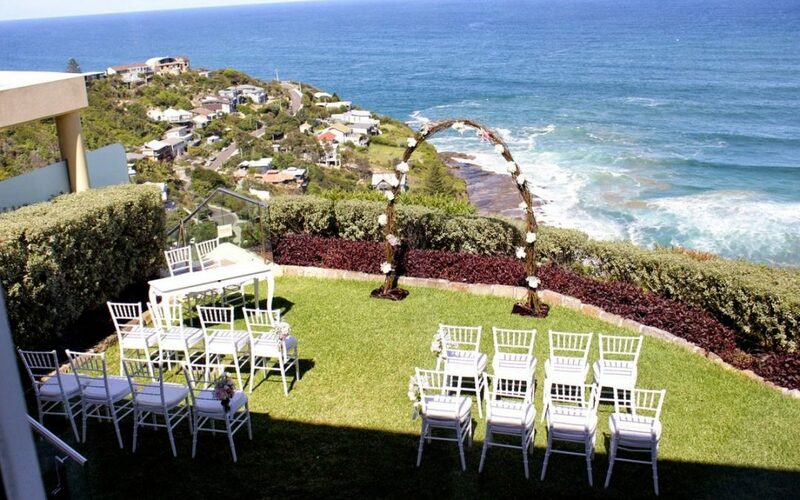 Why not consider a Sydney Northern Beaches Wedding at Jonah’s Whale Beach. Jonah’s gives you some of the most stunning views of the Pacific Ocean you’ve likely ever seen. Thanks to luxurious accommodation rooms, an exemplary restaurant, a spectacular outdoor terrace, and beautiful gardens, it’s like a double-duty vacation with your wedding. Thanks to appealing places to hold your reception, entertaining with music here adds to the atmosphere. Lily Road can certainly accommodate this for you. With Jonah’s up on a large cliff overlooking Whale Beach, you won’t have to worry about doing your wedding ceremony near the water. Jonah’s offers a cliff-top garden, which is renowned for its jaw-dropping views of the ocean, yet with protection from the elements. Seating here accommodates only 20 people, though it’s perfect if you only want close family and friends to attend the official vows. The garden area includes hi-tech amenities like a iPod docking station, plus a signing table for the guest books. Even wet weather gear is available in the event a downpour starts during your ceremony. While the wedding band you hire likely won’t play here, the other areas of Jonah’s provide a fabulous setting to hear some of your favorite songs for weddings. In this spot, you’ll be able to bring in more guests who arrive after the ceremony. The terrace can hold up to 48 guests within an intimate atmosphere, and you’ll be able to enjoy some entertainment here. It has bi-fold doors to protect everyone from the cool ocean breezes. Known for its alfresco dining experiences, you can bring in any wedding singers you’ve hired. Within the intimate setting, the wedding singer (or singers) can add to the romantic setting singing any romantic songs you request. It’s something we can do easily for you with the Lily Road Band. We love smaller venues like this to give guests a more close-up experience, including singing directly to those attending. When you book your wedding at Jonah’s, they’ll give you exclusive use of the nearby restaurant, which includes numerous other amenities. You’ll have access to the terrace, but also a private balcony for tender moments alone during or after the reception. Near the restaurant is an opulent bar where your guests can choose any drink they want while listening to your wedding band play. This part of the venue holds up to 122 guests, which makes it one of the few intimate places allowing more people than it appears. When you have a live band nearby, you’ll be able to create a wedding party of a lifetime. Don’t forget about staying over at Jonah’s, perhaps as part of your honeymoon. The accommodations here book up fast since they only have eleven ocean retreat rooms. If you’re lucky to book one of these, you’ll never forget your stay. Each room offers uninterrupted ocean views, which is rare at any other beach resort in Australia. Along with luxurious furnishings and a private balcony, you’ll want to come back for other events, or just vacation. At Lily Road , we’re available to help you search for the perfect wedding singer or band at any wedding venue. We help make the music you play at your wedding a truly customized experience.